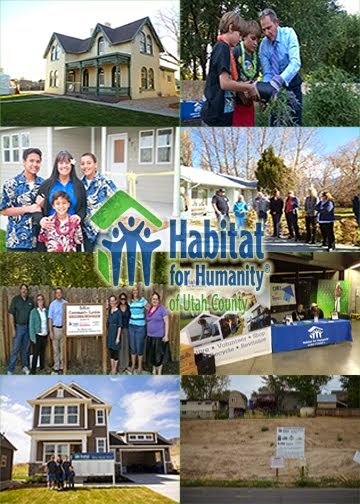 Habitat for Humanity of Utah County: ROLOFF'S LAST DAY IN UTAH! ROLOFF'S LAST DAY IN UTAH! Habitat for Humanity of Utah County's special guest, Amy Roloff from TLC's Little People, Big World, spent her last day in Utah today. She started her day off early with an interview on Fox 13's morning news program (See interview at http://www.fox13now.com/videobeta/e256014c-15cc-4f8d-9fc7-a2d75a2cc3cf/News/Amy-Roloff-on-Habitat-for-Humanity-Women-Build-Week). Following the interview, Amy and Habitat staff members took a scenic ride through Emigration Canyon and then met Steve and Katie Hatch from Hatch Family Chocolates for brunch and a little shopping in Park City. We truly appreciate Amy's willingness to come to Utah in support of the local Women Build Week and the Mariscal Family!